December 20th 2018 - Golf is considered the most philanthropic sport in the world. This is thanks to the many generous patrons that play, give and support the lifelong game. 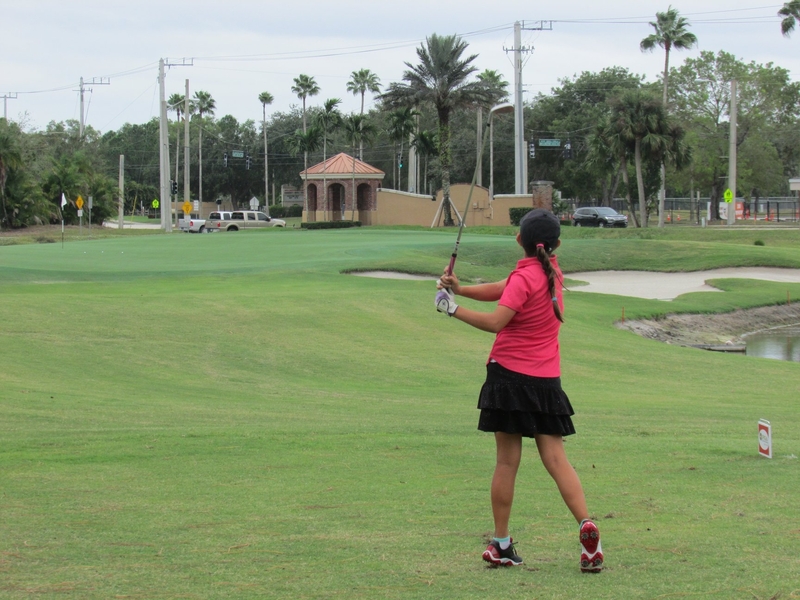 The South Florida PGA Junior Tour seeks to start this legacy in the early stages of their participants’ careers. Through the Birdie Club Program, junior golfers ages 7-18 get to learn how they can contribute to the philanthropic reputation of the game. This program charitably rewards the juniors success on the golf course throughout the season. Some junior golfers have bought into this giving mentality and have excelled on-and-off the course. Kayla Bryant, of Boca Raton, is our 2018 Birdie Club champion with 24 birdies in 2018 SFPGA events alone. Friends and family of Bryant pledged to donate a specific amount of money for each birdie made that is given right to the SFPGA Foundation. Bryant’s great success during the 2018 playing season, provided hope to military veterans, put smiles on pediatric patients’ faces and more golfing opportunities for juniors in South Florida. These programs are just some of the many ways the South Florida PGA Foundation gives back to their local communities through the game of golf. “Participating in the 2018 Birdie Club was an amazing opportunity because I can play the game I love and contribute by raising money thru the birdies I made throughout the year to help the community in a positive way” Bryant once said. Bryant cultivates her giving spirit through the Birdie Club and always having the greatest attitude out on the course. Along with Bryant, Devan Chahal of Parkland and Eric Nguyen of Pembroke Pines were great contributors towards the Birdie Club. Chahal had an impressive 22 birdies coming in a close second, just behind that was Nguyen with an outstanding 19 birdies! In 2018, 11 juniors contributed to the Birdie Club and raised over $1000 for the SFPGA Foundation. We look forward to the 2019 Junior Tour season and seeing our junior participants excel on the greens while raising money for their local charities. To learn more information about the Birdie Club, click here now.